On Thursday, September 13, Sociedad Latina hosted our annual ¡Viva Nuestra Cultura! Latino Heritage Month kick-off event! We were met with more than 1,000 youth, families, and community members for a night of live music, salsa dancing, art activities, and more! The night commenced with a performance by our Youth Artists, who performed cover songs by popular Latino musicians. 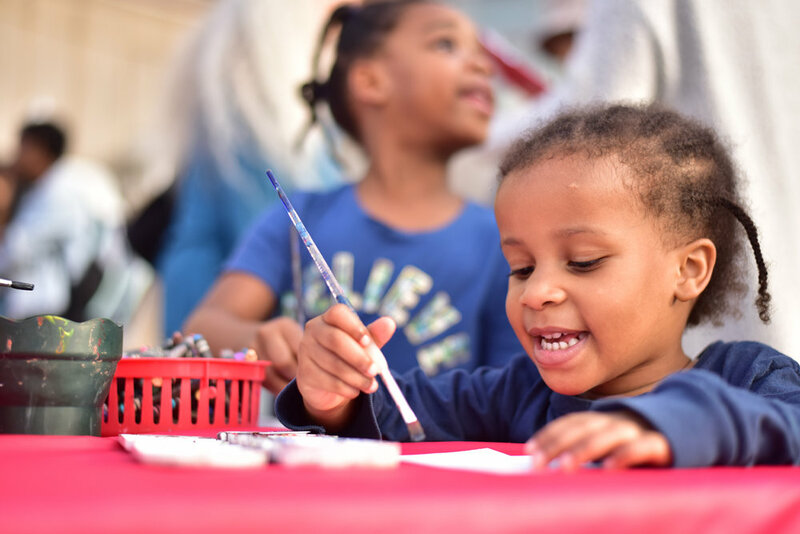 We were also joined by the Museum of Fine Arts with fun watercolor projects and Massachusetts College of Art & Design’s Sparc Mobile for a collaborative community mural. Lastly, participants danced salsa and merengue to live music from headliner Matthew Sanchez y su Orquesta (see below for more information on the band). Matthew Sanchez spoke on the importance of communities uniting to support our young people and ensure that they have the encouragement they need to follow their dreams! 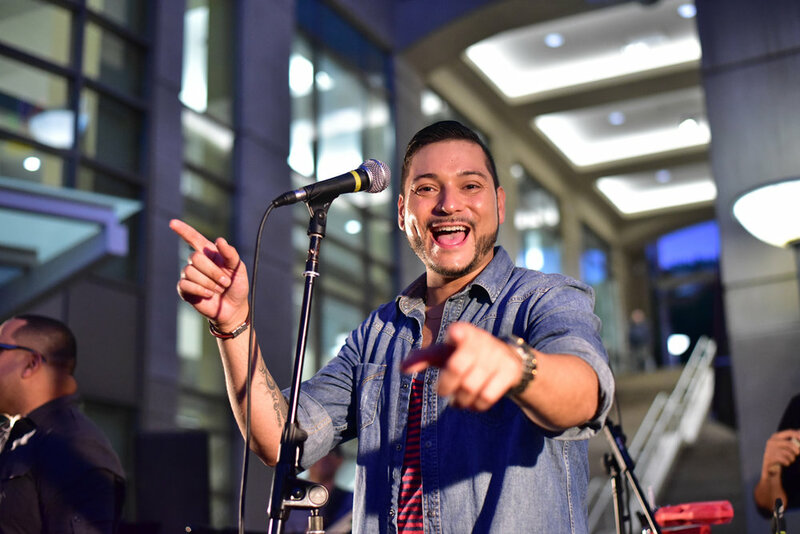 Matthew Sanchez y su Orquesta is a salsa band filled with energy, youthful sound, and a true passion for salsa music.Matthew Sanchez has been singing salsa music for over 10 years, playing in venues and events in the NYC, RI, FL, MA, and PR areas. With his sonero improvising and his well toned voice, Matthew is sure to captivate an audience wherever he goes. Matthew lived in NYC where he was lead vocalist for Grupo Arcano (a well known salsa band from Brooklyn, NY). After moving back to Massachusetts where he was born Matthew decided to create a salsa band with his vision to maintain and bring salsa music back to the people and showcase our Latino culture. Matthew has been blessed to share the stage with such artist like Victor Manuelle, Lalo Rodriguez, Tony Vega, Conjunto Classico, Andy Montanez, and many other artists. Matthew Sanchez y su Orquesta is under the musical direction of Eric German-Rodriguez, a well seasoned percussionist who at a young age was already exploring the many sounds of salsa.